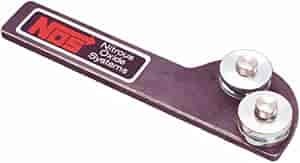 The NOS Tube Bending Tool is designed for tight radius bends and will greatly simplify tube bending with very professional looking results. Excellent for use on any direct port type NOS kit, such as the Sportsman Fogger or the Pro Shot Fogger systems. It is a great addition to any tool box!